Since then I’ve had quite a ride – over 260 gigs in both the UK and Australia, multiple single releases (two of which charted in Australia), an album release as well as an award nomination from Independent Country Music Australia (ICMA) for the “Most Popular Independent Duo” cataegory for our Heywood-Moore alt.country / country rock project. Now, as I am in the process of moving back to Australia, hopefully to the NSW north coast near Port Macquarie, I thought I pick up the thred that I dropped in 2014 and bring the this blog up-to-date so that I can start posting more contemporaneous news and get back to being a more opinion and fact based blog based on my day-to-day experience as a freerange musician. I dropped the ball at the end of spring after playing a cracking gig with my Aussie bush dance band (Bluetongue Dance Band- http://www.bluetongue.co) at the National Festival in Canberra. Back in England we had a very short break before kicking off with the rest of that years’ schedule of over 50 gigs. 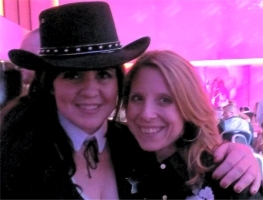 Notable bookings included Coleen Nolan’s Wild West Party at the Old Trafford Cricket ground in aid of Sara’s Hope Foundation and – apart from us – featured The Nolan Sisters singing their hit single “I’m In the Mood for Dancing” and one of the Atomic Kittens as a guest. 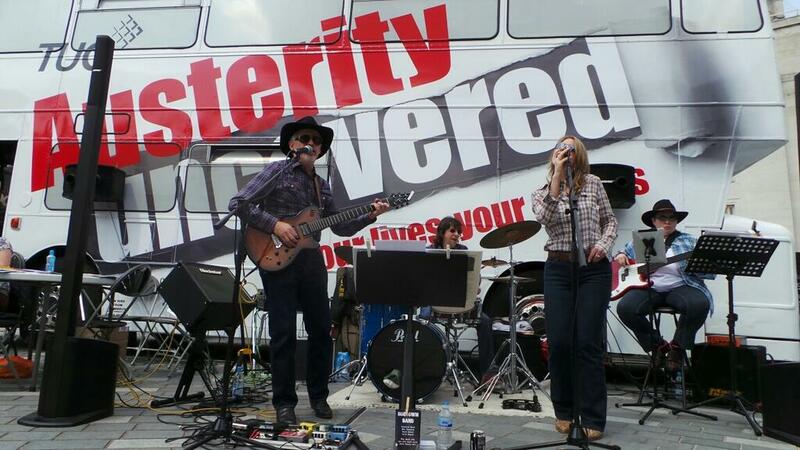 At the other end of the spectrum we played a couple of open air sets in Luton Town Square in aid of the visit by the Austerity Bus (organised by the Musicians’ Union). 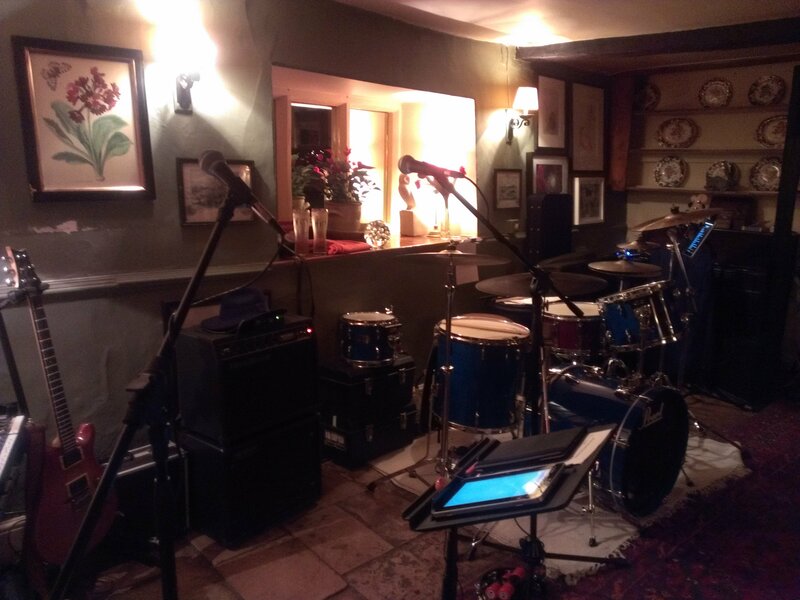 The final gig was in The Lamb pub in Burford, Oxfordshire which was the final gig for our rock/pop band Stencil. 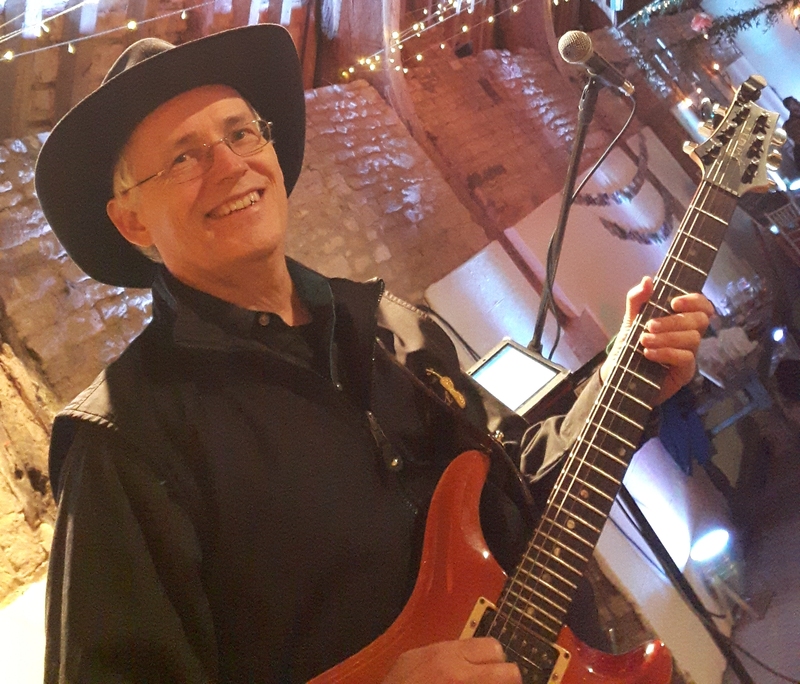 We decided to concentrate on the country rock band (The Hoedown Band) which was proving very popular with our mixture of raucous rock versions of country favourites and called line and barn dance. This fulfilled a long held ambition of mine to combine song and social dance in a single format. Another new musical adventure that we embarked on in 2013 was playing concerts for the charity Music in Hospitals. I had originally done some work for the organisation in the 1990’s when I played with Rich Christian’s band – The Open Road. However earlier in the year Dawn and I did an audition for them in Birmingham and from may we started doing more concerts around the country – mainly in aged care homes but also in hospitals, hospices and community social clubs. Our repertoire of popular songs from the 50’s, 60’s and 70’s being appropriate to the folk who were now in that form of care. The full name of the charity is “Music in Hospitals & Care” (MiHC) and their aim is to bring interactive live music sessions to people who are receiving care or treatment in healthcare settings across the UK. The aim is to make people feel good, one tune at a time. MiHC is a UK charity, founded in 1948 and the live musical sessions are designed to humanise clinical settings, to reach and connect people, to encourage communication and meaningful interactions and to elicit emotions and memories when it matters most. Our experience was that music is a form of communication that remains after all else has failed. You can find out more about the charity from their website. One final episode from 2013. 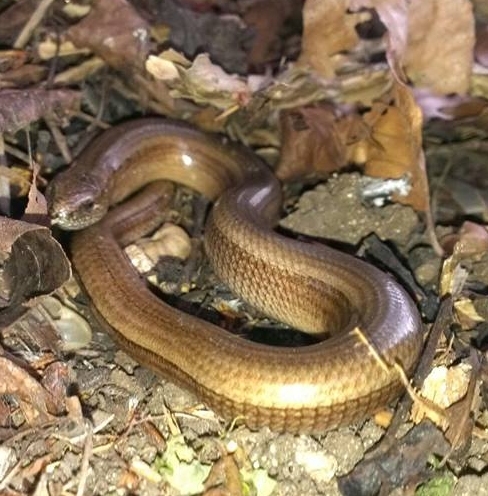 I’ve always felt close to grassroots in music and one visitor I had in May was a slow worm, the first I’d ever seen. It’s not a snake but a legless lizard. You can’t get much closer to the grass roots than that! This entry was posted in Brian's Diary, Free-range Musician, Uncategorized and tagged Australia, Brian Heywood, Canberra, Coleen Nolan, country music, Hoedown, Hoedown Band, Musicians' Union. Bookmark the permalink.